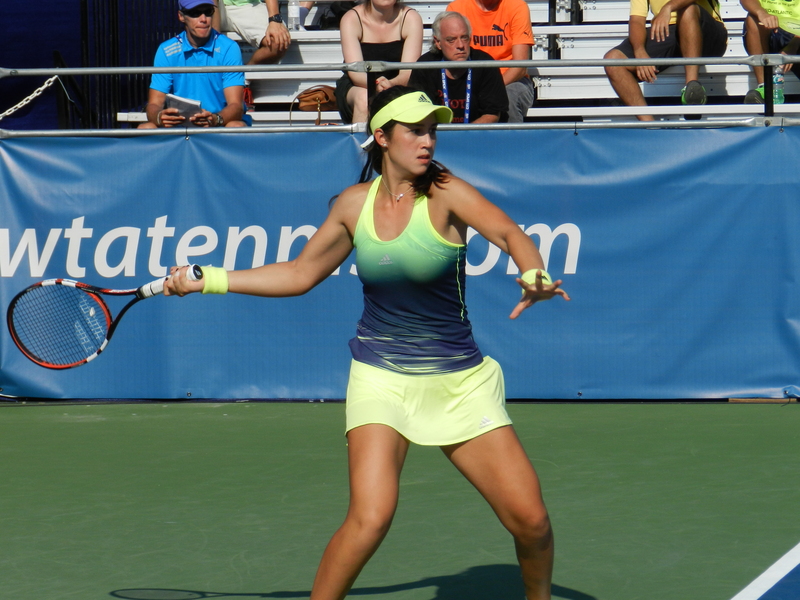 19-year-old American sensation Louisa Chirico spent three hours on court in the 90-degree heat today at Citi Open in her match against 2013 Citi Open semifinalist Alize Cornet. Cornet, ranked 27th in the world, resembled the younger, nervous player on court as she committed the first six double faults. Chirico, who beat Cornet 7-5, 4-6, 7-6(4) to advance to the quarterfinals at Citi Open in Washington, will face either defending champion Svetlana Kuznetsova or Sloane Stephens for a spot in the semifinals. 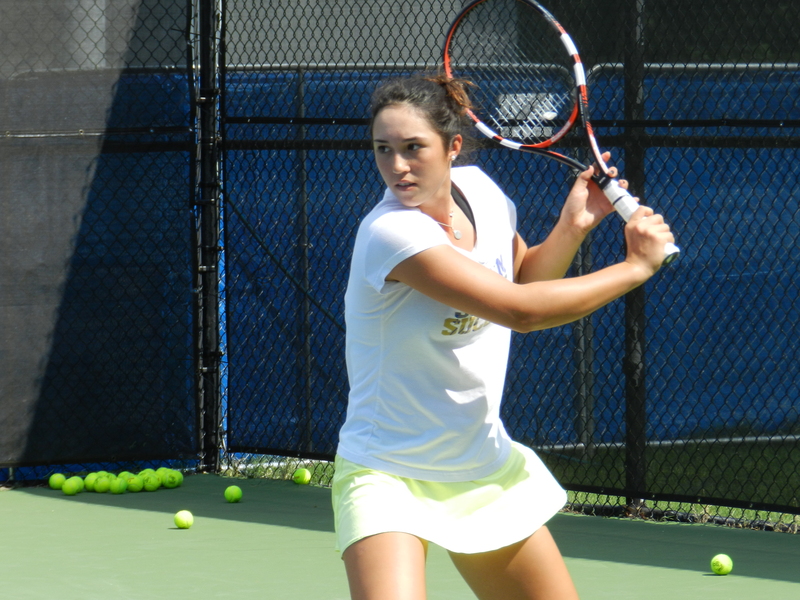 Chirico bested World #55 Heather Watson in the first round. I cannot overstate the composure Chirico displayed on court. I last saw her at the Boyd Tinsley Classic, the Charlottesville ITF tournament only three months ago. There, she was effectively traveling by herself. Today, she was joined by her parents, Coach Jay Gooding and her agent from Octagon. Chirico says she is definitely not done with ITF play yet. 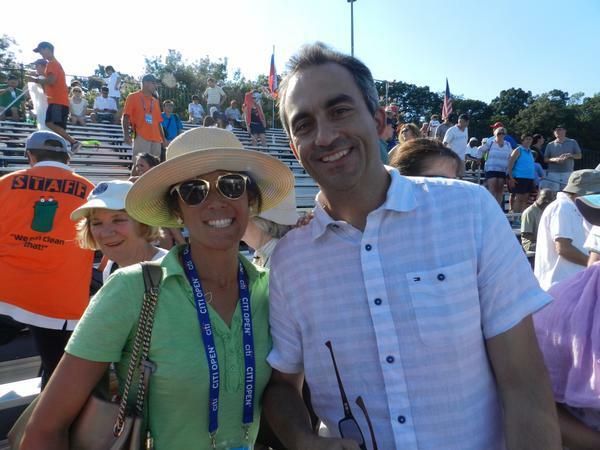 Proud Dad John Chirico told me he was recording the whole thing on Tennis Channel back home in Westchester, New York. I can imagine this match will be getting a lot of replay action in the Chirico household for some time. With a three hour match, they better plan an intermission during screenings.